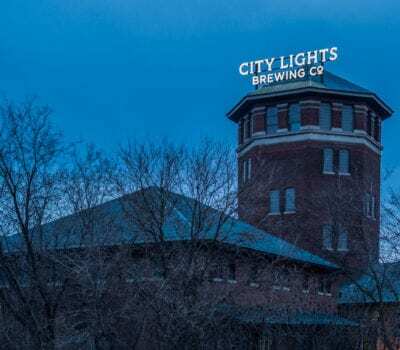 City Lights Brewing Company envisioned exterior signage that would be a mixture of old school and new age, be representative of the rich history of the Milwaukee Menomonee Valley and be bright and iconic with a modern appeal. The sign would go atop a five-story octagonal tower and would need to be visible from the Interstate. 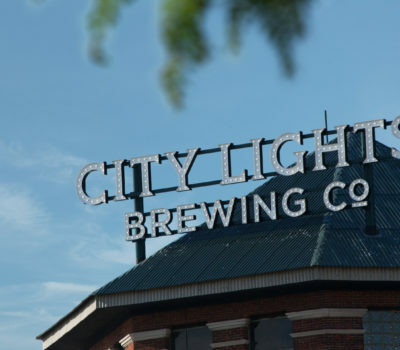 The roofline and age of the building made it difficult to accommodate the large size sign that would allow it to be most visible. Poblocki engineered the steel structure along with the logo to fit the building. 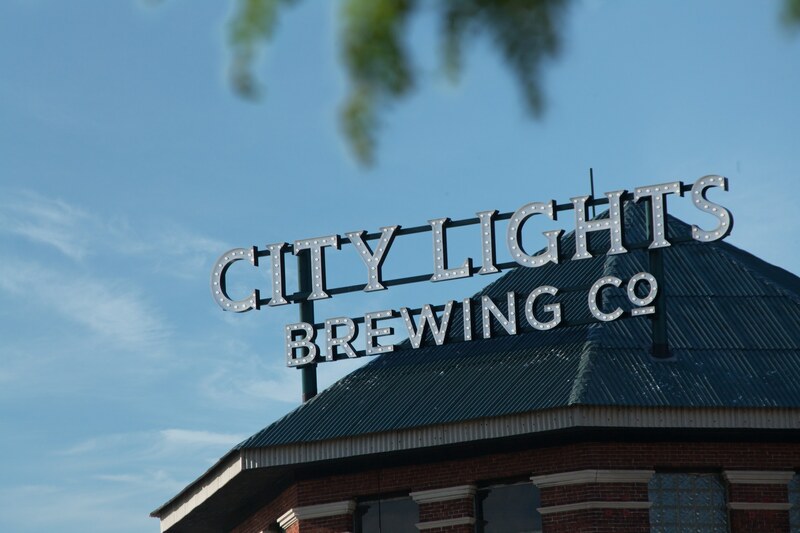 An exterior sign with letters 3 feet, 9 inches tall was created for maximum impact. 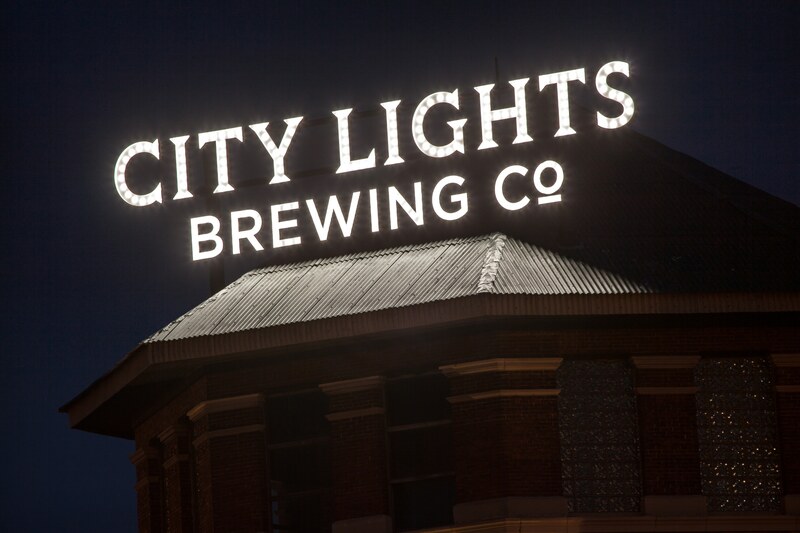 Unlike typical channel letters, the sign was designed using open face channel letters with individual LED bulbs. A large steel frame structure was engineered to allow the large sign to be mounted onto the building. It included a framework that slid into the building structure and was mounted to a floor 20 feet below the roof, as well as numerous other significant supports and mounting features. 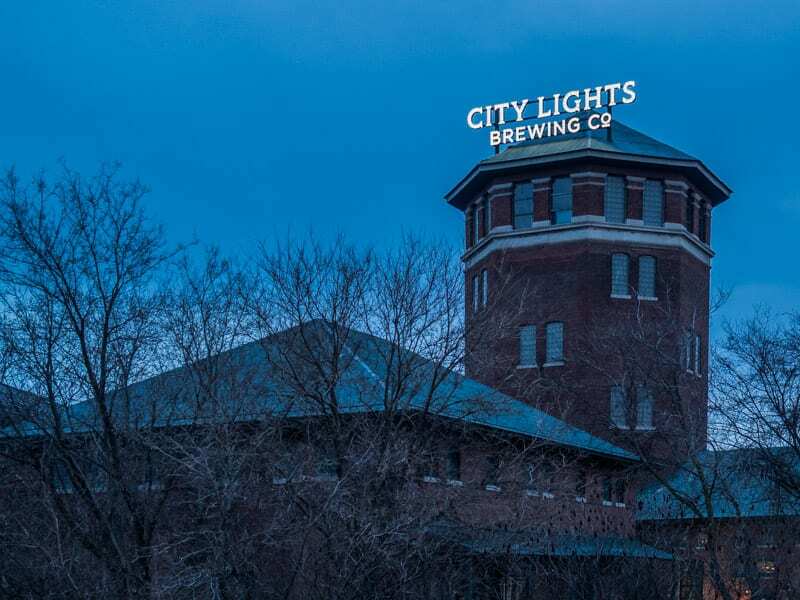 The Menomonee Valley is very dark at night, so the sign is incredibly bright, eye-catching and visible. Due to the height and placement, over 250,000 cars pass it daily and are able to see it both day and night. The project received a significant amount of press coverage in the media due to its uniqueness. 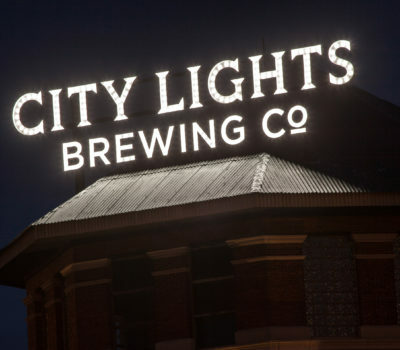 The City Lights Brewing Company owner was very pleased and is moving forward with additional signage.